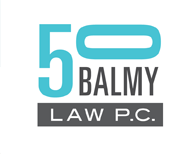 Protecting the trademark “Dykes on Bikes” | 50 Balmy Law P.C. The firm prosecuted registration of the trademark “Dykes on Bikes” all the way to the United States Supreme Court. This was a major victory for the LGBT community and a landmark trademark law decision. A thirteen year saga protecting the Dykes on Bikes trademark culminated December 16, 2016 with the filing of an Amicus Brief at the US Supreme Court urging the Court to find unconstitutional the USPTO’s ability to decline to register a mark on the grounds that it is “derogatory.” The USPTO declined to register the Dykes on Bikes logo, even after it registered the word mark. The USPTO claimed Dykes on Bikes is derogatory to lesbians. Oral arguments were January 18, 2017. After the decision, founding attorney, Brooke Oliver said, “Dykes on Bikes uses its trademark to promote civil rights and social justice. Trademark registration makes it easier and less expensive to stop others from profiting commercially by infringing on the mark. Our argument on freedom of expression is very much like that of the Slants. The USPTO should not be deciding what is derogatory and what is not, and them doing so is the essence of viewpoint expression. Our Amicus brief added that nonprofits like Dykes on Bikes have a strong interest in protecting their marks for purely political speech.” Press and other coverage of this case can found on Huffington Post, Mission Local, SFWeekly, and KPFA Radio 94.1 (beginning at 12:54). The “Dykes on Bikes” trademark application was rejected by the USPTO on the grounds that the word “dyke” is derogatory and offensive to lesbians. The firm assembled an all-star team of pro bono co-counsel, including the National Center for Lesbian Rights and two large firms. The Trademark Trials and Appeals Board reversed the USPTO’s rejection and approved the trademark registration. After an individual filed an opposition, we prevailed at the Trademark Trial & Appeals Board, the Federal Circuit, and the US Supreme Court. McDermott v. San Francisco Women’s Motorcycle Contingent, 240 Fed. Appx. 865 (Fed. Cir. 2007), cert denied 552 U.S. 1109 (2008). “Dykes on Bikes” is now a registered federal trademark. Press and other coverage of this case can be found on Wikipedia and SFGate. The case has been cited in treatises, at least four Trademark Trial and Appeal Board decisions, and numerous law review articles. 9-300 Gilson on Trademarks 303, 309 (Matthew Bender & Co. 2013); 1-3 Intellectual Property Counseling and Litigation 3.02 (Matthew Bender & Co. 2013).